Two people have been killed and 61 injured in clashes in the south of Kyrgyzstan with supporters of the ousted president Kurmanbek Bakiyev attempting to seize power in the republic. Interfax news agency reported the figures referring to Kyrgyz Health Ministry. Now the situation in Dzhalal-Abad remains stable with no further incidents expected, Zamir Sadirov, a representative of the local administration, told the news agency. Violent clashes that took place in Dzhalal-Abad on Friday involved gunfire, stone-throwing and fights. According to Sadirov, his colleagues are currently working towards creating a commission to estimate the material damage of the uprising. The town, which is also a regional hub of Kyrgyzstan, and two other Kyrgyz regions that were involved in the unrest are under the control of the interim government. Currently the situation in the city of Osh is stable, a spokesperson of the interim government told Interfax. Internal military forces have been dispatched there to provide security in the region. The situation in the northern part of the country, specifically in Bishkek, is calm, stated the source. However, some eyewitnesses say that there are still tensions in Dzhalal-Abad, Interfax reports, despite the fact that the city is under control of the interim government. Interim Defense Minister Ismail Isakov pointed out that through negotiations the provisional government managed the situation in the Batken region, which was also involved in the unrest. “There should be no more bloodshed,” he declared. Interim government supporters have flocked to Kyrgyzstan’s capital Bishkek to patrol the city and prevent destabilization and looting, Interfax news agency reports. Russia’s Foreign Ministry said on Friday that it was puzzled by a recent statement by Roza Otunbayeva, who had said that the unrest in the South of Kyrgyzstan was headed by someone from Moscow. “If Roza Otunbayeva has really said this, it can cause nothing but puzzlement,” Interfax quoted a source in the ministry as saying. Later on Friday Otunbayeva explained that, speaking about Kyrgyz events being coordinated from Moscow, she did not mean Russian officials or Russian nationals, but Kyrgyz citizens who are currently in Russia. The interim government unanimously condemned the tactics by Bakiyev’s supporters. According to Medet Tiulegenov of the American University of Central Asia, the interim government is too strong to be ousted. “These are quite diverse forces and, of course, the multitudes and variety of different events of the last two, three days shows that there is growing sentiment against the provisional government. But I do not think it is big enough to create quite a big risk for the provisional government,” he added. The UN has called on both sides to calm down and resolve the situation through dialogue, and both the United States and Russia have had open discussions about the situation in Kyrgyzstan. Russia has also sent a special envoy to Kyrgyzstan to offer help. In the capital over the weekend people were preparing for more turmoil to come amid rumors that Bakiyev’s supporters were mobilizing to head north to Bishkek. While the nation seems divided, those in control say their goal is to unite the people. On Thursday evening in Kyrgyzstan, protestors took over government buildings to oppose those in power. This time the unrest occurred in the south, carried out by supporters of the recently ousted president, Kurmanbek Bakiyev. The uprising involved three regional centers: cities of Dzhalal-Abad, Osh and Batken. The nation’s capital of Bishkek saw a different scene as 4000 people gathered peacefully at the parliament in favor of the interim government. 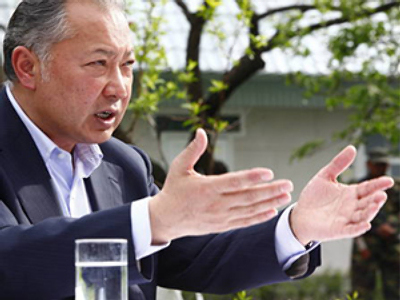 On Thursday evening Bakiyev’s supporters took control of the airports in the troubled cities, Interfax reported. They reportedly spread stones and gravel across the landing strip of Dzhalal-Abad airport to prevent law enforcement bodies from landing, representatives of the new local administrations said. The acting Kyrgyz Defense Minister set off for Osh, while head of the provisional government Rosa Otunbayeva said that they were going to suppress any revanchist attempts. “We have the means to disperse fear in society,” she declared. Friday morning brought violent clashes in the southern city of Dzhlal-Abad as up to 2000 of Bakiyev's supporters took to the streets armed with rocks and sticks to make their voices heard. 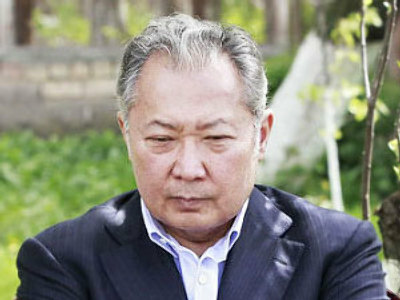 Bakiyev’s supporters reportedly gathered in the south. Around 25,000 people were allegedly ready to head to the capital Bishkek to oust the provisional government. In response, according to Interfax, the interim government urged its supporters to come to rallies. “We urge everyone to go out to the streets in their cities and towns. [On Friday] we start a series of rallies to show that the ex-president’s supporters have no chances,” Interfax quoted as saying Azimbek Beknazarov, deputy head of the interim government. Asher Pirt, a researcher on Central Asia, says the current government is facing huge difficulties in restoring order. “They [provisional government] don’t have support in every province or every region throughout the country. This is what they need to achieve,” said Pirt. “The whole situation is incredibly volatile. The provisional government needs to start reassuring the people that it can do something,” he added. “The interim government is saying that supporters of the previous president are stirring up the instability. However, a closer look at the recent events shows that the interim government itself is part of the problem,” said Professor Alisher Khamidov, Fellow at the School for Advanced International Studies at John Hopkins University, Washington DC.